Erie, PA. | US Club Soccer and Great Lakes Alliance will be holding a LaLiga Formation Methodology coaching education course, July 12-14 at Edinboro University in Erie, Pennsylvania. Through eleven courses to date, more than 1,100 coaches from 350 clubs and organizations have been educated in LaLiga Formation Methodology. July 12-14, 2018; Edinboro University in Erie, Pa. The course will be hosted by the Great Lakes Alliance. 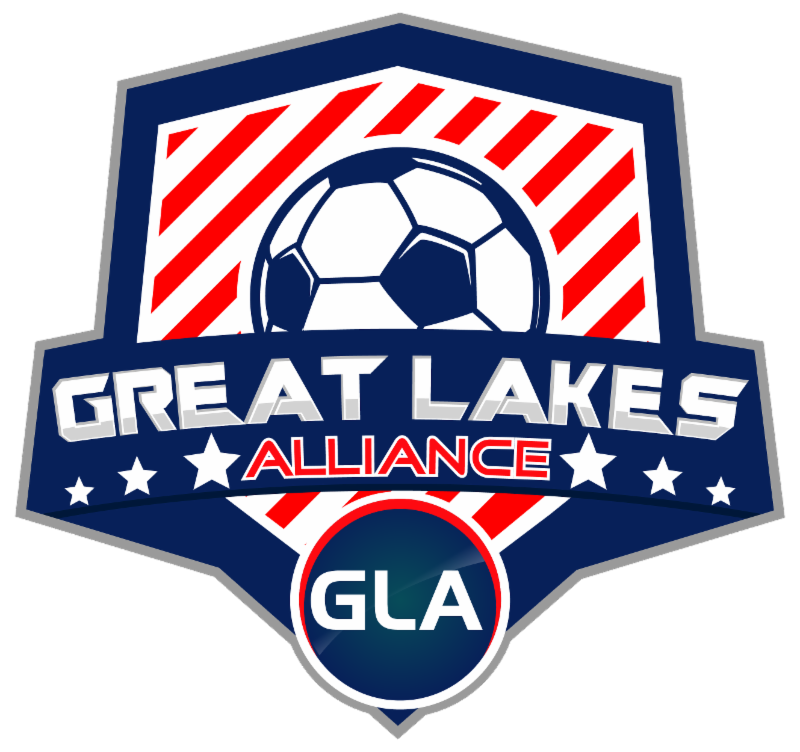 As a new member league in 2017-18, Great Lakes Alliance has brought 33 clubs from across Ohio, Western New York, and Western Pennsylvania to the National Premier Leagues. "We are thrilled to be bringing a coaching course of this caliber to the coaches of this region," said Ed Bernstein, Director of Great Lakes Alliance. "We are excited to make this opportunity available to our large pool of clubs in the PA, NY and OH are in particular, where the GLA has it's roots. The campus of Edinboro University is centrally located to the area, and provides a wonderful set up to conduct the course in a first class environment," said Pedro Argaez, Director of Great Lakes Alliance. 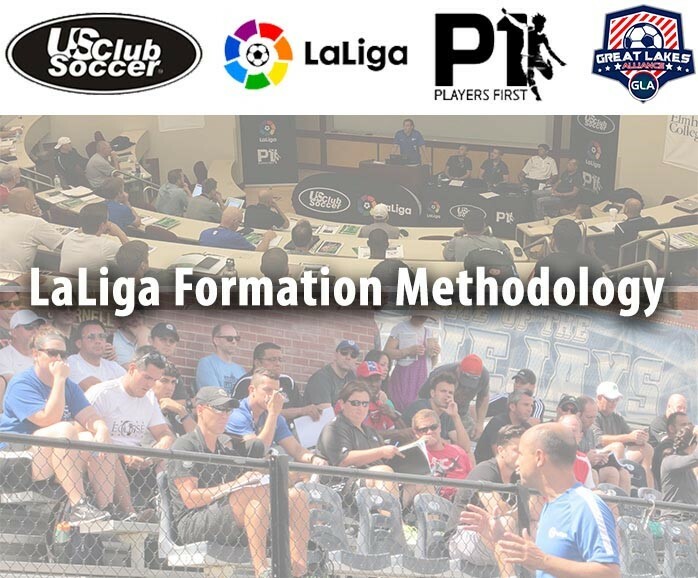 LaLiga Formation Methodology is a staple of US Club Soccer's Players First initiative, which is a branded, holistic club soccer experience for parents and players, emphasizing the development of each individual to his or her full potential, and helping parents make better choices about where their children should play. LaLiga Formation Methodology courses outline the philosophy and methods used across LaLiga to train, develop and form some of the world's top players. There are three levels, with Level 3 serving as an introduction to the comprehensive development strategies used by the top professional league in the world. Level 2 serves as the intermediate stage, and Level 1 will expand further on coaching education methods with time in Spain working directly with Spanish academies. The 2½-day Level 3 course includes theory and practical sessions both on and off the field. Topics include: 1) Methodological Foundations of Training, 2) Structure of Training, 3) Development of the Training Model, 4) Training Tactical Concepts, 5) Training Technique, 6) System Development and Strategy and 7) Training Physical Elements. The course fee also includes a one-year license for each attendee to Kimet Sport - the software for design, control, evaluation and periodization of training sessions used as for the course and by LaLiga academies, including Real Madrid C.F., FC Barcelona, Atlético Madrid, Athletic Bilbao and Sevilla FC. The application is available here. Registration will close at capacity or on July 10. Thursday, July 12: 12:30 p.m. - 7:15 p.m.
Friday, July 13: 8:30 a.m. - 6:45 p.m.
Saturday, July 14: 8:30 a.m. - 7 p.m.
A detailed schedule is available here. Edinboro University has opened their on-campus housing for LaLiga Formation Methodology attendees. Both housing and two buffet-style meals per day will be provided at a rate of $100/day. Each dormitory suite has two double beds and can house up to four coaches. These suites are air-conditioned and include a large bathroom in each suite, as well as a desk and closet space. It is only a few minutes walk from the classroom and field sessions. Please make reservations here. 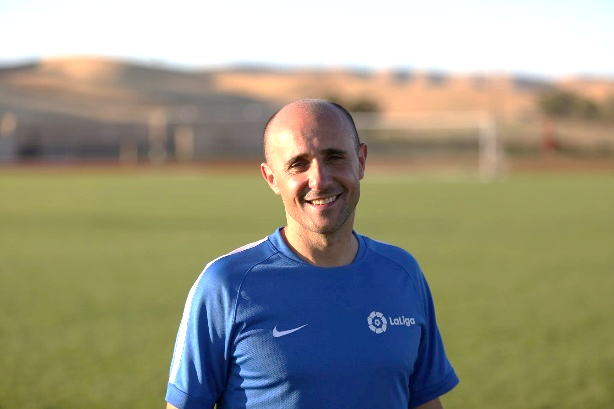 LaLiga methodology expert Gari Fullaondo is the Technical and Methodological Advisor for LaLiga and the Committee of Football Coaches of the Royal Spanish Football Federation, the Director at Kimet Sport, which advises sport methodology and offers consulting services. Fullaondo is a UEFA-PRO coach with a master's degree in physical training, and was previously the Director of Methodology at Athletic Bilbao. Hugo Blanco is LaLiga's Sports Projects Manager and an expert in methodology training (UEFA-PRO Coach). Blanco has worked as a Director Manager in different Public and Private Facilities, and he has extensive experience with the Galician Football Federation and Galician School of Coaching, among other organizations. 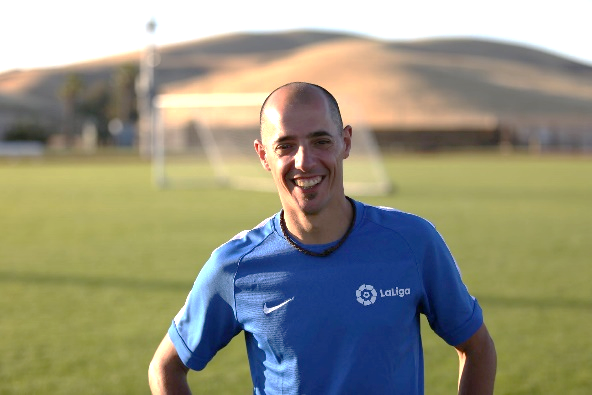 Blanco holds a Ph.D. in Science of Physical Activity and Sport from Universidad de A Coruña (Doctoral Thesis about Tactical Data Analysis) and has researched and published several articles relating to top-level soccer performance. Zunbeltz Fullaondo is a UEFA-PRO Coach with a Degree in Sport Sciences specializing in soccer. He is Methodology Director at Kimet Sport. He is teacher of the Basque Coaches School. He previously worked as the Director of Formation and External Project at Athletic Bilbao, physical coach in senior categories, and many years as coach in youth categories. He has been Technical Director of Women's Soccer Club in Bilbao. A National Association member of the U.S. Soccer Federation, US Club Soccer fosters the growth and development of soccer clubs in order to create the best possible environment for players of all ages. Anchored by Players First and its five pillars of Club Development, Coaching Development, Player Development, Parent Engagement & Education and Player Health & Safety, US Club Soccer offers registration, league- and cup-based competition platforms, player identification and a variety ofother programming, resources and services. ©2019 Great Lakes Alliance / SportsEngine. All Rights Reserved.